What is PaidViewpoint? Is it a scam? Is PaidViewpoint a legitimate program? I bet you have seen a lot of positive reviews on this product. No doubt, it is one of my favorite survey panels. Read on and find out more about it. What is PaidViewpoint? The Paidveiwpoint is one of the survey panels in the market. It is currently based in San Francisco, California and it is operated by Umongous, Inc (aytm.com), which is also behind InstantCashSweepstakes. Just like what other survey panels do, PaidViewpoint collects feedback from a targeted group of people (consumers) by asking various questions from their clients (advertisers). By collecting information from the targeted group of people, the company will tailor and improve their products or services to increase their business profit. After all, all companies want to increase their product sales in the market. By knowing the need of the market, they can make a better product that is easy to sell. That is why survey panel like PaidViewpoint plays an important role in these companies’ business strategy. PaidViewpoint works with their clients to narrow down the questions that should be included in the surveys. They tailor the questions specifically to get the best feedback from the respondents (you as a member of PaidViewpoint). Just like other survey panels like Opinion Outpost, Global Test Market, and Valued Opinions, PaidViewpoint collects opinions from specific groups of people for specific products. These specific groups of people are called respondents. How To Make Money With PaidViewpoint? You can become a member of PaidViewpoint for free. All you need is to provide your email address, physical address, and birth date. You will also need to spend some time to fill out a short questionnaire so that they know your demographic group. Typical demographic information includes your age, gender, education level, marital status, race, and employment status or types. After that, verification is done by a simple phone call to prevent fraud. One good thing about PaidViewpoint is it works for anyone in the world. As long as you are 13-year-old and above, you are eligible to sign up as a member and earn money from PaidViewpoint. Once you get survey invitations from PaidViewpoint, you will be granted full accesses to participate in the invited surveys and earn money from them. Survey length varies from one to another. In average, it ranges between 2 to 30 minutes. A two-minute survey could earn you an easy $0.25 while longer ones can reach into the $2 range. What I like about PaidViewpoint is that you are pre-approved for all the surveys they send to you. You will not get thrown out in the middle of a survey like other survey panels. In PaidViewpoint you get survey invitation means you get paid. Once you get an email invitation, log in to PaidViewpoint dashboard and click on survey waiting on the top right corner of the page. You will be asked to check “yes” or “no” to select the questions that you want to answer. Usually within a minute, you can answer 10 questions and you will be rewarded upon finishing them. The reward amount greatly depends on geographic locations. People from the USA normally get higher rewards than those in the Asia. (Normally, you will be awarded 0.03 to 0.1 USD). At the time of writing, you will be credited $1.00 upon signing as a member with PaidViewpoint. You can also increase your earnings by recruiting your friends. You can earn up to 20% of what your referrals earn for taking “biz surveys”. Do not get me wrong, you do not take 20% rewards away from them, it is just an extra bonus you get from PaidViewpoint. On top of that. You can make $25 for every friend you invite to participate! Survey invite rate depends on your TraitScore. Each survey comes with a TraitScore. You get at least one survey a day from PaidViewpoint, but most of them are low paying TraitScore surveys. When you accumulate higher TraitScore, the more surveys you will get over time. What TraitScore does is keep track of your previous answers to Trait Survey questions and from time to time will ask you similar questions to see if you are answering correctly. If you are, your TraitScore will go up. The higher your TraitScore the more money you can earn per Biz Survey, which in general pays the most. If you achieve a Traitscore of 9,000 and become part of the top 10% of members. This means you will be earning even cash more per answer. Take online surveys PaidViewpoint in exchange for cash. You can encash your reward through PayPal when you have hit the $15.00 threshold. Payments will be processed and paid within 72 hours of request. Upon requesting for cash out, PaidViewpoint will make sure that your account is not hacked or making sure that you do not have multiple accounts to cheat them. This is normally done by some simple text verifications or phone calls. (+) It is free to become a member of PaidViewpoint. (+) It is easy and straightforward to sign up as a member of PaidViewpoint. (+) Low cash-out threshold – $15. (+) PaidViewpoint is available for those aged 13 and above. (+) You will not be screened out half way through the survey. All surveys have been pre-approved before sending to your inbox. (+) Pays on time and short payment processing time (72 hours). (-) Alright, it is good to know that you can earn some cash with their referral system. However, it is not clear how you can earn the $25 rewards. I managed to figure that out. You will only get $25 only if your referral is actively participating for at least six months. (-) Remember the TraitScore? It tracks all your answers that you have given in the surveys. If any of them differs, TraitScore will not be credited and it is tough for you to become the top achiever. (-) There is no mobile app available for you to make money via phone. You will have to use your computer to make money with PaidViewpoint. If you read most of my reviews before, you know that I am not a big fan of doing survey sites. However, there is something that is worth mentioning here – PaidViewpoint never disqualifies you during the course of a survey like other survey panels. As I mentioned in most of the posts, making money via survey panels is not ideal as it can be a total waste of time. The reason is most of the time, you get kicked out half way through the survey. Hence, PaidViewpoint has done a very good job here. Another problem of online market research is the quality of data from the respondents. With the special features – TraitScore, PaidViewpoint makes sure they get the most honest feedback from the respondents. I strongly recommend PaidViewpoint if you are seeking for a good survey panel to make extra pocket money online. If you are interested in making passive online income, you should never ever consider joining survey panels. I have tried them (including survey panels and data entry) and I wish someone told me this long time ago. After all, my preferred way of making money online is affiliate marketing. If you are not familiar with this term, affiliate marketing is about promoting a product of someone (e.g. Amazon) on your site and you make money from each purchase made. I appreciate if you could share this post “What Is PaidViewpoint? Is It A Scam?” with your friends. For those who have tried PaidViewpoint, share your experience with us. I hope by now, you know better what is PaidViewpoint.com and got some useful tips on how to make real passive income online. Good honest opinion. Survey panels may not be worth the time. When I am bored I use a paid to take surveys site and it takes a long time to make any money. Hi Tony, it is definitely a waste of time. No matter how good a survey site is, they have one common problem – low rewards and significant effort needed. 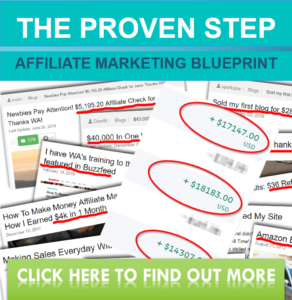 It is definitely not a way to make real passive income online.